P&L BUSINESS BROKERS, LLC HAS ITS ORIGIN IN A FRIENDSHIP DATING OVER 25+ YEARS. BORN FROM THE COMBINATION OF SUCCESSFUL TRANSACTION CAREERS, BUSINESS OWNERSHIP EXPERIENCE, COMMITMENT TO SERVING OUR COMMUNITIES, AND REALIZING THAT SELLERS AND BUYERS OF SMALL AND MID-SIZED COMPANIES WOULD BENEFIT FROM HIGHER STANDARDS OF TRANSACTION SUPPORT, MICHAEL LANNIE AND ERIK POTTER FOUNDED P&L BUSINESS BROKERS TO PROVIDE BUSINESS OWNERS AND BUYERS WITH EXCEPTIONAL TRANSACTION EXPERIENCE. 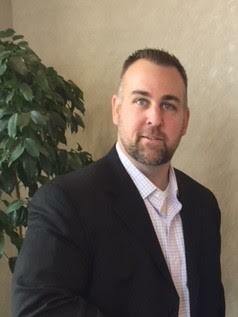 Michael Lannie is the founding Partner and President of P&L Business Brokers, LLC. Michael has led the sale and acquisition of over 100+ transactions. As an M&A management consultant for over 13 years with PwC, Deloitte Consulting, and EY, Michael has demonstrated an ability to effectively lead his clients, both large and small, through transformational change from strategy development through seamless transaction execution. Sought after not only for his technical capability, but his commitment to being a trusted adviser has given Michael a solid foundation from which P&L Business Brokers, LLC’s clients will greatly benefit from. Michael holds the prestigious Certified Business Intermediary (CBI) designation. A credential offered through the International Business Brokers Association (IBBA) which provides business owners and prospective owners with comfort knowing they are represented by dedicated and qualified intermediaries. Since starting his first business while in college, Michael has always been drawn to small and mid-sized companies due to the closeness to the heart of the business. Michael also has acquired a business and is always looking for other acquisition opportunities. Michael’s passion for helping others and leading transactions, coupled with the drive to always deliver value, will continue to differentiate him and P&L Business Brokers, LLC. Michael received his Bachelors of Science in Accounting from University of Rhode Island and a Masters of Business Administration from University of Massachusetts – Amherst. Personally, Michael lives with his wife, two children, and German Shepherd in North Kingstown, R.I. He enjoys spending time with his family and friends, coaching his daughter and son, and playing baseball himself. Erik Potter is a founding partner of P&L Business Brokers, LLC and Potter MacLellan LLP and a graduate of Boston College, where he received a Bachelor’s degree in political science and philosophy. Mr. Potter earned his Juris Doctor from Suffolk University Law School in 2005. In addition to being a licensed attorney he is a licensed real estate broker. Mr. Potter has been involved with real estate-related transactions since 2000. Mr. Potter began his real estate career while finishing his undergraduate studies at Boston College. During this time, he was a licensed real estate agent primarily focusing on real estate rentals, office management and client development. Throughout the past fifteen years, Mr. Potter has acted as a real estate rental agent; a real estate broker for purchase and sale transactions; a property manager for multi-family and distressed properties, as well as large apartment complexes; and, most notably, as a practicing real estate attorney. Upon graduation from law school, Mr. Potter accepted a position with the highly-regarded Boston real estate law firm of Gilmartin, Magence & Ross, located in downtown Boston. In 2011, Mr. Potter started his own private practice, and continued to maintain that successful practice, in Cohasset, Massachusetts, until forming Potter MacLellan LLP. As an attorney, Mr. Potter has focused his practice on transactional real estate and the representation of private real estate investors. In his representation of private lenders, he has acted as the closing attorney for privately financed transactions that are collectively valued at over fifty million dollars. Mr. Potter grew up in Newport, Rhode Island and he and his family presently reside in Cohasset, Massachusetts where he is a Member of the Town of Cohasset Planning Board and serves on the Board of Directors for the South Shore Art Center.